News > Events > ET August is out now! Welcome, all, to the ‘behind the scenes’ edition of Education Technology. This month we’re going deep into the workings of the education sector, and exploring how you can utilise the summer months to revitalise your institution, and make sure you are fully prepared for the coming academic year. Whether addressing your brand presence, streamlining your comms, or focusing on your ICT provision, summer is a great time to address infrastructure issues. In this edition of ET, we touch on all these topics and more. Our roundtable on page 39 looks at how you can use the tech tools available to refresh your institution’s brand, while our feature on page 33 addresses the importance of parental communications for both schools and universities, and how digital tools can streamline this process. In true behind-the-scenes style, we also delve into the issue of managed ICT, and whether in-house our outsourced management is best for your institution. Find out everything you need to know in our feature on page 53. In a similar vein, an efficient institution requires an efficient network, and on page 47, we speak to experts about what you can do to ensure the best network usage for your school or university. 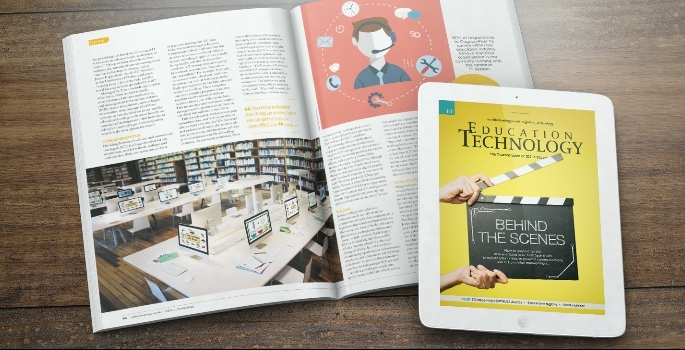 In our opinion pieces this month, we hear from Jamf’s Craig Smith on how tech management can help keep mobile devices safe and efficient on page 30, as well as an expert’s insight into screen-time hygiene from Mark Bentley at London Grid for Learning, on page 62. We also hear about GDPR vigilance for the new academic year from Blackberry’s David T. Bloner on page 5. We were lucky enough recently to meet The Baroness Brown of Cambridge, Chair of STEM Learning, at this year’s ENTHUSE Awards, and we have a talk with her on page 61 about the awards, and the future of STEM education in the UK. Not to be missed!